The really good days for my flying are here, with the two last flights from Vodno I managed to cover 98.2 km total on a local route from the capital Skopje to Gostivar. 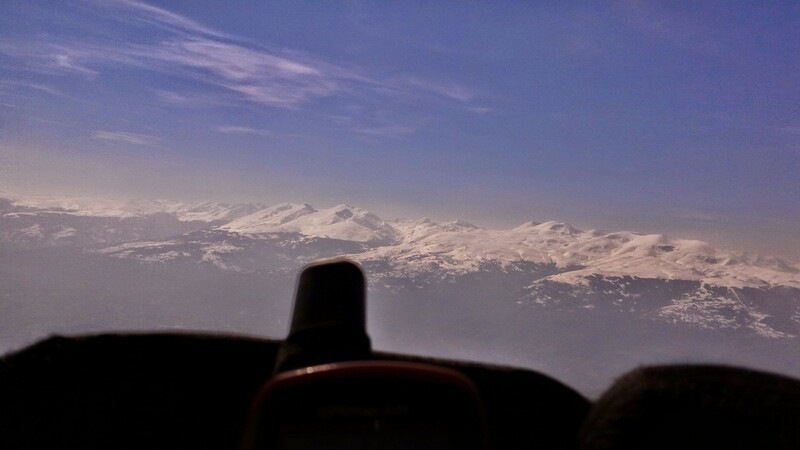 The first flight I took a lot safer route in regards to the retrieve, it was also a little bit tricky conditions with blue thermals and wind coming from the east (the wind for the fastest times on the route Skopje – Gostivar is NW). But somehow i managed to get on to the Flatland’s of Polog and get 10 km from goal to Gostivar. The website, xc globe says I covered 46.1 km which was the longest flight ever and so the limits were pushed little bit further. On the last day of our Easter here in Macedonia we had wind from north west. So we set our route to Vrutok 10km South West of Gostivar, and went on. The conditions were a lot better than the previous time and now I managed to get to Gostivar covering 52.6 km. What I learned on this first two PRs in a row? Other than the meteorological things that you learn every flight and stuff I think that the most important thing that I learned was when flying xc not to worry when are you going to land out. Lending out is part of the game and it is going to happen and I need to accept it, I like walking anyway. It was an unforgettable experience to fly away from the comfort zone with all this amazing friends something I am looking for even more in the future.